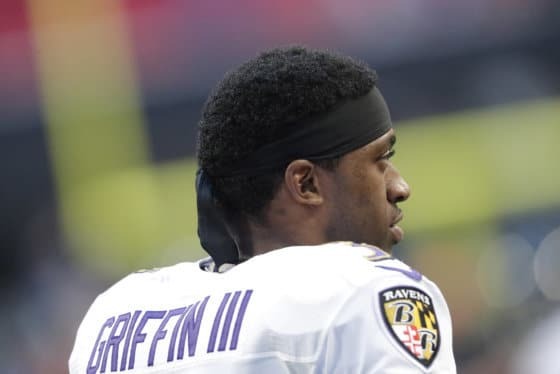 WASHINGTON — The NFL has a long list of problems but none is bigger than its issue with properly handling situations of domestic violence among its players. 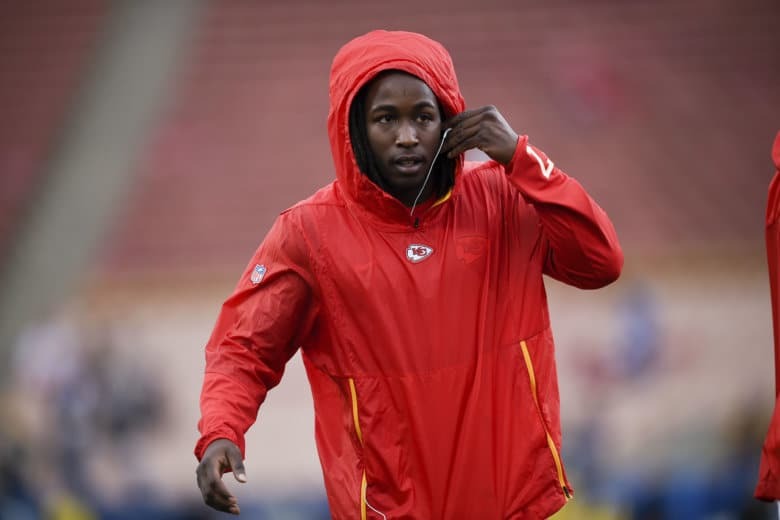 If you listen to the league, it was taken by surprise Friday when TMZ released video footage of now-former Kansas City Chiefs running back Kareem Hunt shoving and kicking a woman in a Cleveland hotel back in February. But common sense should tell you that’s wrong. The almighty National Football League is a multibillion dollar entity that stays puffing out its chest and reminding you of how great and powerful it is. After all, this is the same league that went to great lengths to get inside dirt on Tom Brady’s knowledge of how much air is in a football, going as far as to trying to get their hands on his personal cellphone to prove it. Revisionist history, RG3’s return, strong family ties and a historic firing highlight the NFL Week 13 Recap. That’s why I have a hard time buying the notion that the NFL would simply stand down when the hotel declined to hand over the Hunt video. If they wanted it, the NFL would have it, and waving the Chiefs off from looking for it themselves is mighty suspicious. And it’s puzzling that the NFL never interviewed Hunt directly or the woman involved in the incident, which Hunt himself revealed in his seemingly-contrite sit-down with ESPN on Sunday. For 10 months, even the minimum action wasn’t taken. Goodell “broke his silence” on Tuesday night, telling CBS News that the NFL had asked for video, but had never seen it. But he also said that they already knew that video was out there. The thought that anybody needed to see the actual punch to understand the damage that had been done is ludicrous. As Pro Football Talk astutely points out, this is another example of the NFL being reactive in the wake of video evidence of one of their player’s heinous acts. Rather than conducting a thorough investigation of its own, the league is more comfortable sweeping productive and/or likable players’ misdeeds under the rug unless and until those misdeeds are caught on film. The reaction to Hunt’s misconduct was an over-correction from the over-punishment for Ezekiel Elliott’s domestic incident that took a year to investigate, which was an over-correction from Rice’s initial under-punishment for his crime. There was no video of the Elliott incident, which had a lot more inconsistencies than the Hunt or Rice incidents. Yet there was the NFL manufacturing a way to serve as judge, jury and executioner to save face from the inactivity leading up to the Rice video. Frankly, we shouldn’t have to see a woman get manhandled live and in color to understand how unacceptable that act is. Even if Hunt did undersell how bad the incident was, a proper investigation would have revealed it was enough to warrant a suspension. But the league didn’t want to push this story to the forefront by doing the right thing from the start. The truth of the matter is the league doesn’t take domestic violence seriously, only the public outcry it generates. Thus, players don’t have any real incentive to be forthright with the NFL when an incident occurs — the NFL only metes out severe punishment when a player’s actions are revealed to the public, but shows little interest in the matter unless there’s outside pressure. The NFL’s system is terribly broken, and by making players less accountable for their misdeeds, rather than more, it endangers more women — you know, the people the league loves to market to with pink jerseys and breast cancer awareness month (which, ironically, is the same month as relationship abuse awareness month). You saw Doug Williams’ comments. Regardless of how many daughters he or any NFL executive has, the Redskins are still allowed to sign Reuben Foster and Junior Gallette in the midst of those legal storms. That lack of genuine empathy is why Greg Hardy lasted as long as he did. It’s why kicker Josh Brown — a marginal player at a marginal position — initially got only a one-game suspension after his abuse against his wife became public. I’m all for this scenario that involves shelving troubled players until their legal issues are resolved. But the NFL isn’t that proactive. As long as Roger Goodell is the commissioner, the league will continue to fumble its way into a decision that’s swayed by media attention and paying customers, rather than what’s morally right.